Increasing evidence indicates a current and growing shortage of surgeons available to serve our nation's population. A shortage of general surgeons is a critical component of the crisis in health care workforce because only surgeons are uniquely trained and qualified to provide certain necessary, lifesaving procedures. 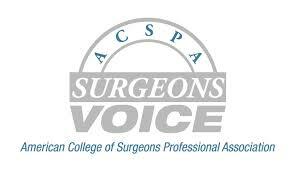 Accordingly, the American College of Surgeons (ACS) is urging policy makers to recognize through the designation of a formal surgical shortage area, that surgeons are an essential component of a community based health care system. The ACS strongly supports the Ensuring Access to General Surgery Act of 2017 (H.R. 2906/ S.1351), sponsored by Representatives Larry Bucshon, MD, FACS (R-IN) and Ami Bera, MD (D-CA) and Senators Charles Grassley (R-IA) and Brian Schatz (D-HI). This legislation would direct the Secretary of the Department of Health and Human Services (HHS), through the Health Resources Services Administration (HRSA), to conduct a study to define a general surgery workforce shortage area and collect data on the adequacy of access to surgical services. Additionally, it would grant the Secretary the authority to provide a general surgery shortage area designation. Unlike other key providers of the community based health care system, general surgeons do not currently have a formal workforce shortage area designation. In light of growing evidence demonstrating a shortage of general surgeons, ACS believes that more accurate and actionable workforce data is necessary to determine exactly what constitutes a surgical shortage area and subsequently where these areas exist. Identifying where patients lack access to surgical services will provide HRSA with a valuable new tool for increasing access to the full spectrum of high quality health care services. Determining what constitutes and defines a surgical shortage area is an important first step in guaranteeing all Medicare beneficiaries, regardless of geographic location, have access to quality surgical care.